336 total shares. Be the next! Greg Brotherton was born in Ames, Iowa, in 1968. He spent a nomadic childhood in Utah and Colorado, and developed an early interest in mechanics. Aged five he began disassembling anything with screws in it, and at twelve he had taught himself to mine his backyard using homemade explosives with, unbelievably, no injuries. After being ejected from a series of public and private learning institutions Brotherton enrolled at Colorado Academy of Art. He received his BA in graphic design in 1987, and set off immediately for California. In the two decades following, he forged a successful career as an award-winning commercial artist, while honing his skills as a sculptor. 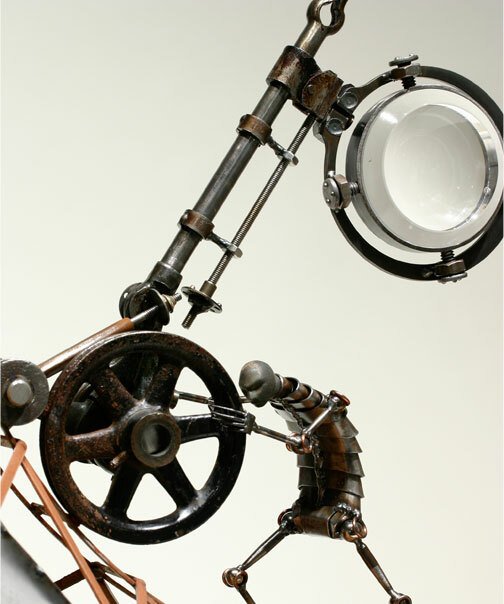 Brotherton uses hammer-formed steel and re-purposed objects. 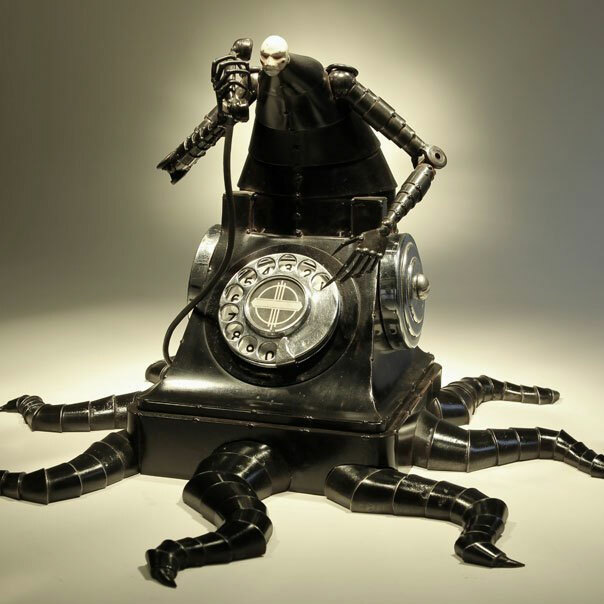 His themes are often mythological in nature, shaped by a dystopian view of pop culture. He describes his work as compulsive, fired by an urge to build things whose complexity escalates as they take shape. His work has received international recognition and been exhibited across the United States and is collected worldwide. 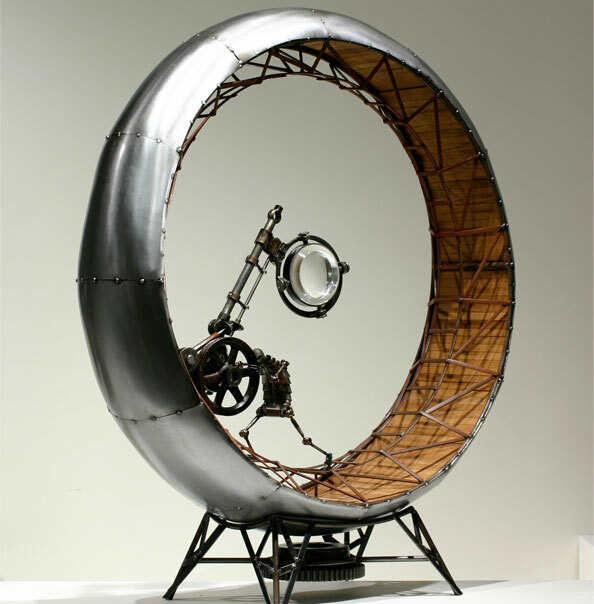 In 2007, Brotherton was the featured artist at the TED Conference in Monterey, California. He currently lives in San Diego. Sweet phone...I just have a hamburger phone! i can relate to that guy pushing his own weight and the weight of responsibility within the wedding ring under the magnifying glass. truly creative. the other one is the tentacles of technology that presently grip us all -- the new opium of the society that rob us of reality, creativeness, human relationship, and values. EXCELLENT WORK. Wow.. you are like the macguyver of artists. take parts, put them together and its like a new art movement.. stellar work man just stellar. incredible photographer you have too. 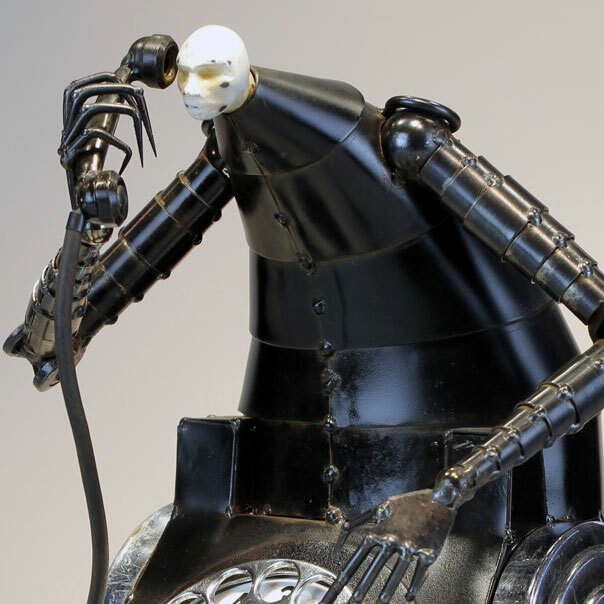 artistic relation between man and machine. This reminds me of that stop-motion film that came out in 2009, "9." The pieces hold the same eerie, dirty, yet somehow impossibly graceful atmosphere that I got from that movie. The cold, lifeless metal has been transformed into something alien, as though from a nightmare, but so wonderously full of life that who am I to complain? A fabulous, ironic collection of works. Awesome! creativity at the best. Keep it up.